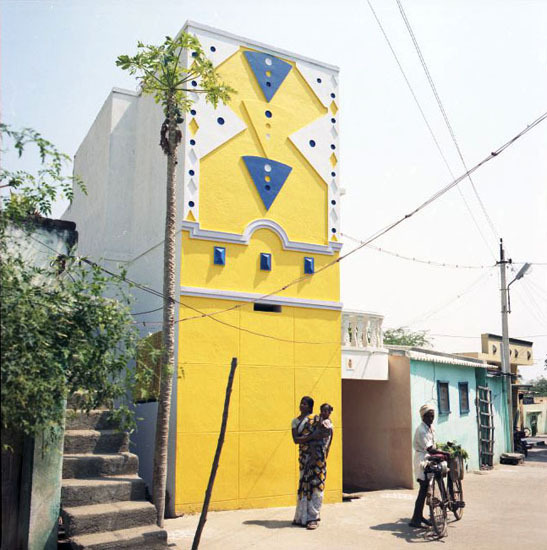 There is a town in the south of India called Tiruvannamalai, house to a temple and a mystical ashram that attracts visitors from the early 60s. 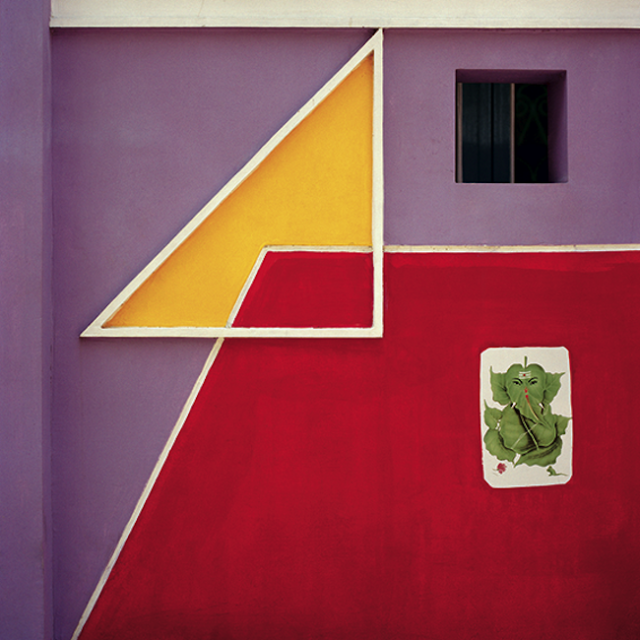 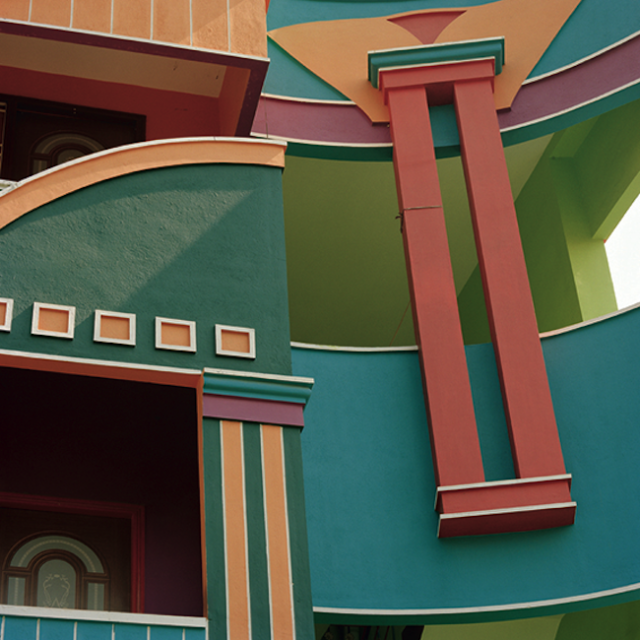 Here french photographer Vincent Leroux captured with his lens the eccentricity of local architecture made of unusual combinations of asymmetrical geometry and colour. 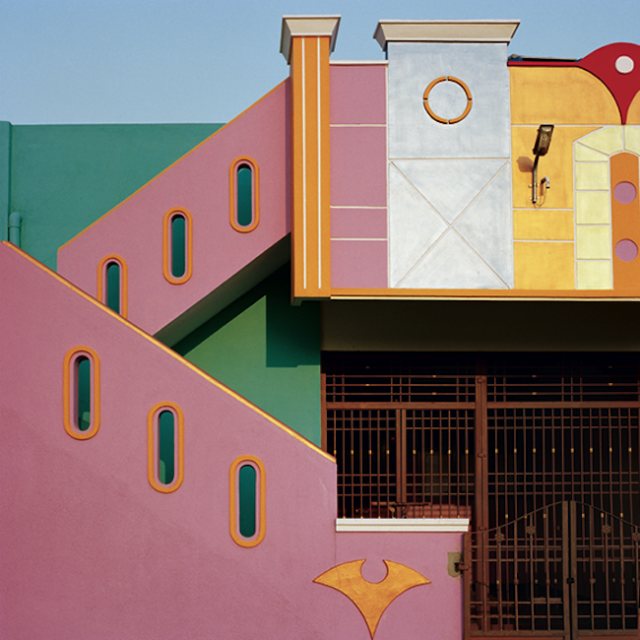 Those houses, said to be a labour of love for the families who live in them, seem to be inspired or to have been inspiration to the irreverent universe of architect Ettore Sottsass, father of Italian post modern design and founder of the Memphis movement, whose aesthetic was defined by the use of asymmetrical shapes, bright colours, kitsch suburban motifs and cheap materials. 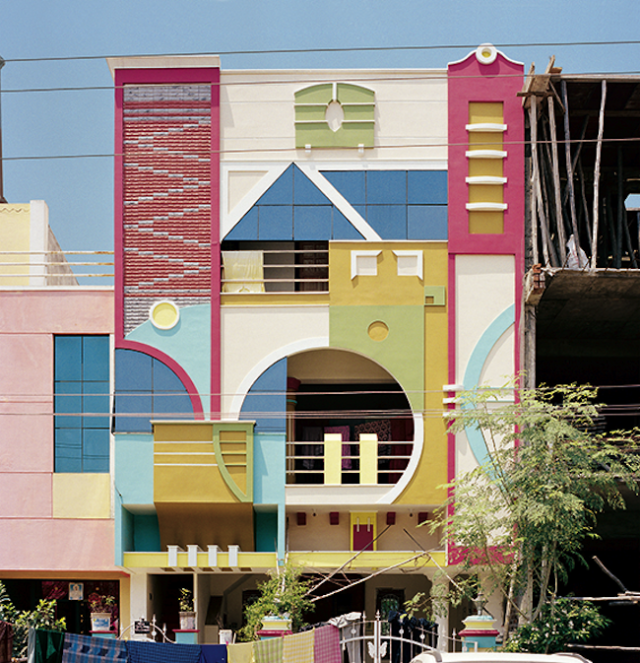 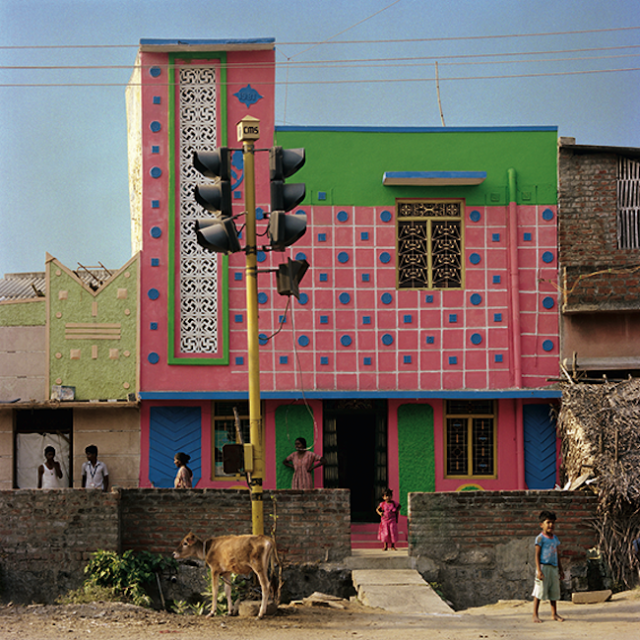 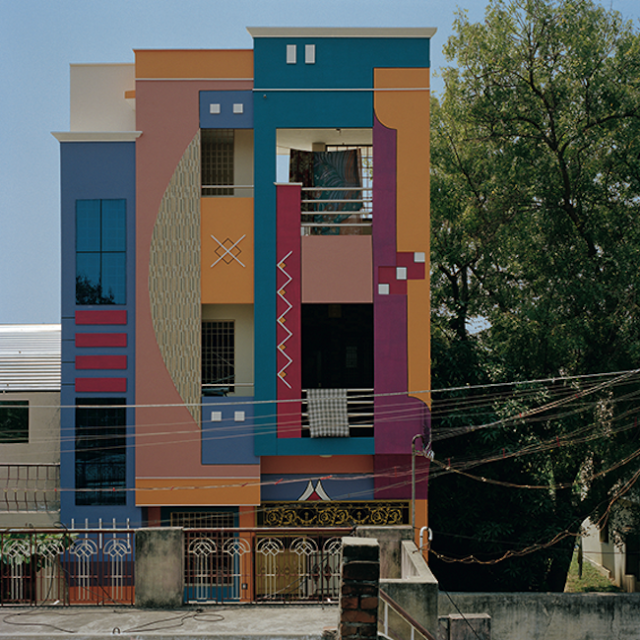 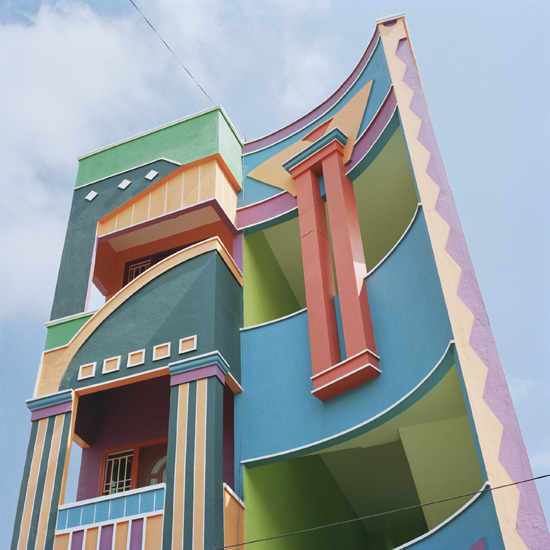 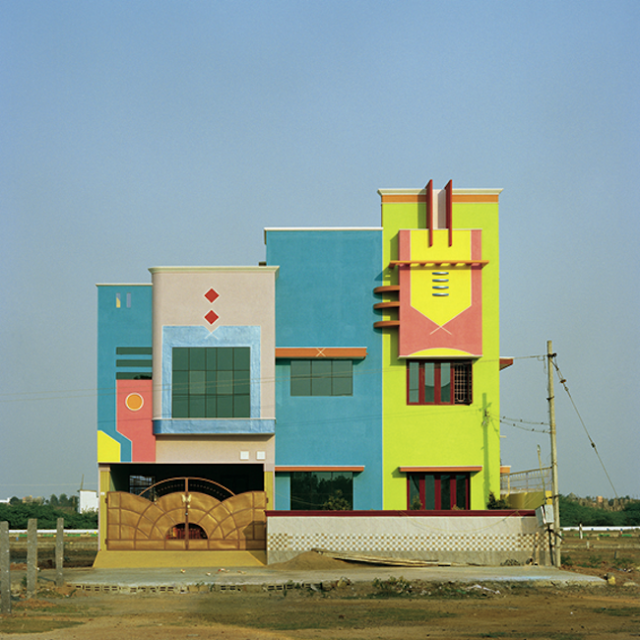 Sottsass’s frequent trips to India and his fascination for Indian architecture seem to strengthen the theory of a possible relationship between the mystical town of Tiruvannamalai and the Memphis movement.